“Orange is the colour associated with the 2nd Chakra. Use in spells for strength, authority, attraction, success, joy. 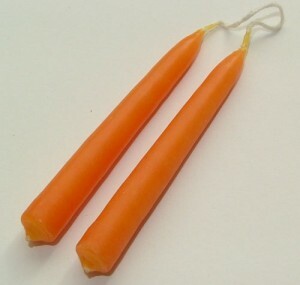 Short spell candles. Made by traditional dipping method and through coloured.